I can prepare and submit self-assessment (personal tax return). My fees starts from £70. After getting all the information, i will prepare and send the draft tax return within 2 days to you. I will file the return after your approval. I will deal with all the HMRC related queries as well. Please note that technical returns can take some extra time if there are any queries or missing information. I need all the income and expense information or bank statements. I need UTR, National Insurance Number, details of the client (will send a form for that). I am extremely happy with the work and service from Audtax and Shahood. They were professional and efficient and made the process simple and easy. Highly recommended. Great working with Shahood. Always does a good job! Shahood is very helpful and does a great job. You can always email me if you have any further questions. 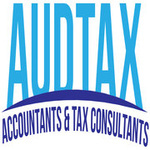 AudTax provide range of Accounting/Tax Services to businesses, contractors & freelancers. We are fully insured. We have more than 13 years of combined experience. We are qualified...Read moreAudTax provide range of Accounting/Tax Services to businesses, contractors & freelancers. We are fully insured. We have more than 13 years of combined experience. We are qualified and licensed accountants & we serve clients all over England. Self-Assessment Tax Return starts from £70.00 only. Limited Company Accounts from only £150. If you are a start up/new business then we can form your company and can register the company for different taxes(VAT, PAYE, CIS) from only £25 & can provide free accounting advice. We meet all our clients at their desired location or in their office. We also conduct meetings over the Skype to save your time. Our Clients: Care Home, College, Construction Company, IT Company, Estate Agent, Contractors, Freelancers, Restaurants owned by Great British Chef, Hair & Beauty Saloon, Grocery Shops, Landscapers, Constructions Workers, Cleaning Companies, Financial Advisers, Online Retailers, Hand Bag manufacturer selling bags to UK's biggest high street retailers, Travel Agents, Designers, Event Organisers and Production Companies.